Hey HRPros, HRNewbies, and HRInterns! Todays’ blog starts another awesome series from the HRJazzy Blog – HR Jobs! I want to find out more about all areas of HR and I think it’s also important Newbies are able to see what jobs are available in the field. So, the first job I decided to research was *inserts drum roll* Recruitment … well, I guess the post title gave it away. Anyway, I reached out to a few of my great HR Pro to get their advice on recruitment, what it means, and what a normal day is like in the life of a recruiter. Make sure you also connect with them on LinkedIn as well and send a note to let them know how you found their information! I received so much great feedback this will be a 2part post on recruitment, as I still have a few Pros sending me information. I asked the pros 4 major questions and they sent me their advice for recruiting. What does recruitment mean to you? Cici – It is what I do, breathe, and learn about every day. It allows me to take my companies openings and match them up with candidates who can make a true impact for my companies. Keith – It’s all about matching the right person with the right job. The skill set is important, but a person’s character, work ethic, social skills, integrity, etc. are critical to determining if the person is a match for the company. Wendy – Helping the hiring manager find the right person the first time in a role. Recruitment includes a clear, concise job description, the right market-based salary, a clear job posting. Mofota – Recruitment is to me a business enabling function where we are tasked with finding the most important part of any organization, human capital. Gemma – Recruitment is a process of finding the right people to fill the role within an organization. Recruitment should not end upon hire. It must be a full cycle in which we are engaging those we hired for retention, promotion, through succession development. All of this information is important because as a recruiter, you need to have a passion and not just to find a job. Listening to your candidates to find out exactly what type of environment they would fit in and be happy. The type(s) of jobs they are looking for in industries. Having great interview skills to get all of this information out. Almost all of them stated that Recruitment is a great “break in” area of HR because you experience so many different parts. Gemma says, ” Recruitment is a good place to start in HR to learn the process of talent acquisition, learn about interviewing techniques, write job descriptions, etc”. Kelly made another great point in her responses that I believe HRNewbies need to understand. “Recruiting is not something that happens just when someone leaves a job and anytime you have a key role, you are going to want to develop sources for potential hires that fit the need of the organization.” You’re always on the move with recruitment and as HRNewbies or someone changing your career path, I think understanding networking is going to be key to finding the best talent. Kelly also adds to follow Roy Maurer on twitter to stay updated on everything recruiting and HR. I’ve always said on my blog that breaking into HR is difficult, I stick by that, but I’m also learning that a lot of the Pros kind of “fell into” HR. Wendy was recommended for a role in HR after working for an airline customer service job (aren’t you happy you got out of that!). Mofota was actually recruited by a recruiter friend after a sabbatical, obviously, recruiters know best. Gemma had experience in phone and face to face customer service, and a company was looking for a PT receptionist/recruiting coordinator. Cici was in Korea and used networking to find 50 HR Pros to talk with, a 5-minute advice chat from them, led to a connection with the president of a recruiting and talent management firm. Keith did attend college for HR and the first job he landed was a recruiter of a staffing agency right out of college! It doesn’t matter how you start, always remember that. These pros are some of the best in the business and I know anytime I have a question, I can reach out to them for help. 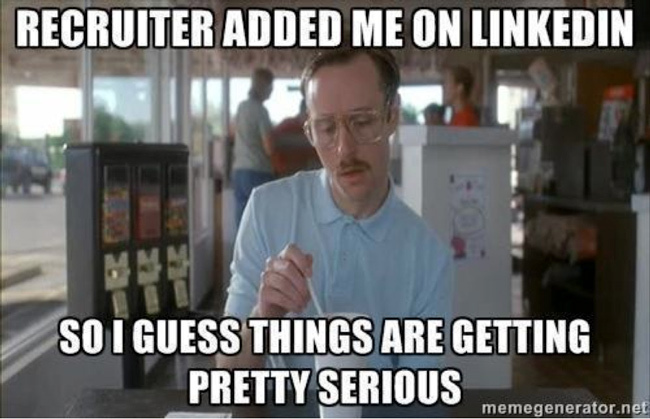 That’s more than just being a recruiter. When you’re just coming into the world of HR, you need to create an HRTribe you can lean on and learn all types of information from. This series is to help not only the up comers of HR but also me. Learning about the roles and responsibilities HR hold will make us better at our job. I also believe it will help us understand each other better and how we function in our roles. I hope you’ve learned some great information from this first post, be sure to stick around. Another recruitment post is coming with even more HR Pros opinions.